In the south of Spain, in the province of Granada, can be found Riofrio, a small village in the municipality of Loja. Riofrio is fast making a name for itself in gourmet circles. The fish farms of Riofrio, raising Trout and Sturgeon, are famous for being home to the world's first organic caviar. The organic fish farms have operated at Riofrio since the early 1960s. But, its only in the last decade or so, that exports have really picked up and firmly put Riofrio's organic caviar on the map. The farms employ organic techniques, not intensive fish farming. 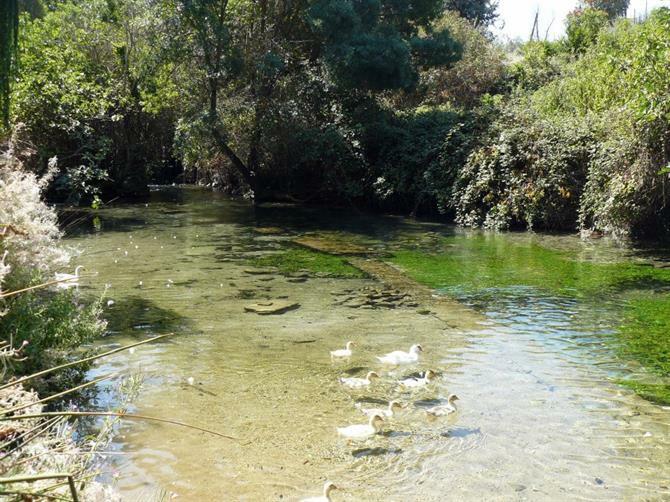 It is also home to a species of trout no longer found in the wild, the Acipenser Naccari breed that is indigenous to Andalusia. Organic caviar is delicate and production is a skilled and lengthy process. The luxury product is aimed at a very select market. 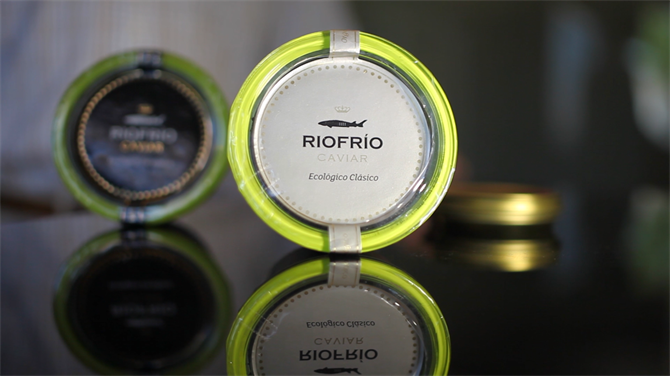 Ríofrio caviar is exported to over a dozen countries today and has gained recognition worldwide for its quality. 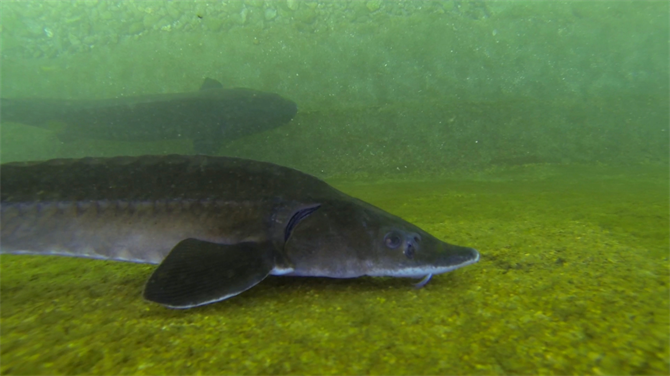 The sturgeon, an endangered species, is long-lived and can live up to 100 years. It is actually one of the oldest fish in existence. Fossils of these fish appear as far back as two hundred million years ago. 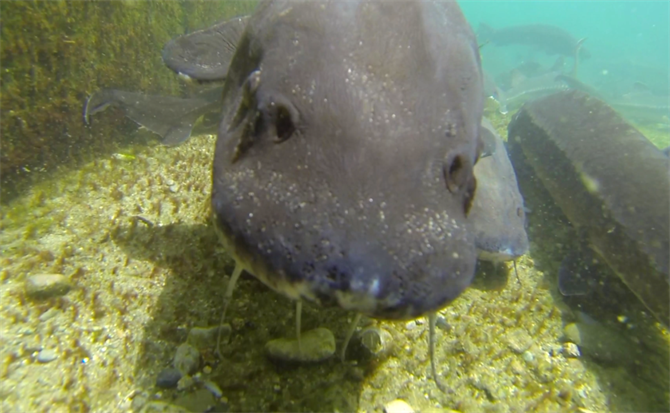 It takes from seven to nine years to tell if the fish are male or female but it is not until the sturgeon are fourteen or fifteen years old that you can start spawning for production of caviar. Reproduction occurs every two or four years. This is one of the facts that differentiates this species of Sturgeon, the long life cycle, requiring a certain degree of patience. The Secret... ....the Sturgeon and Trout hatcheries of Riofrio maintain the highest quality of production. One of the most important reasons for the quality of the caviar is the purity of the waters from the springs of the Sierra de Loja, at the foot of the Sierra Nevada. The water flows naturally in abundance and is ideal for breeding without being stagnant and completely free from contamination. The variety Ríofrio sturgeon is one of the most prestigious 'Beluga Sturgeon', and from which the most expensive caviar is obtained. Most of the beluga sturgeon are concentrated in the Caspian Sea. The quality is exceptional and reflected in the prices. 120gms of caviar costs 280€. As the Spanish saying goes, "Quien langosta y caviar quiera, que afloje la billetera,"
"He who wants lobster and caviar, will have to loosen the wallet." Caviar obtained in Riofrio caviar is 100% organic and boasts being the first organic caviar in Spain and the world. 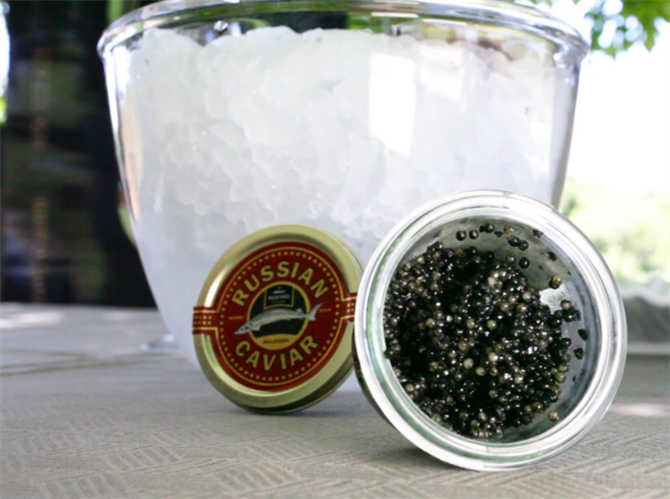 Free of chemicals and preservatives, fresh caviar is vacuum packed to maintain perfect quality. The food that is given to the sturgeon is certified organic and is not intended to artificially fatten. Connoisseurs of caviar, are well able to distinguish when a caviar contains preservatives and when not, since preservatives affect the flavor. Riofrio is a great place for a day out. It is amazing that this tranquil place is so close to the A92 motorway that links Seville and Malaga with Granada. The autovia is so close and yet, when it comes to noise, seemingly so far away. The surrounding countryside is stunning and worth taking time to appreciate. It is also an ideal location to base yourself for a holiday. After all, that motorway is close by. You have the superb city of Seville ninety minutes away. Marvellous Malaga is even closer. And the great city of Granada is less than an hour away in the opposite direction. The village of Riofrio is compact and child friendly, you should park up in one of the large car parks provided and wander around the village. 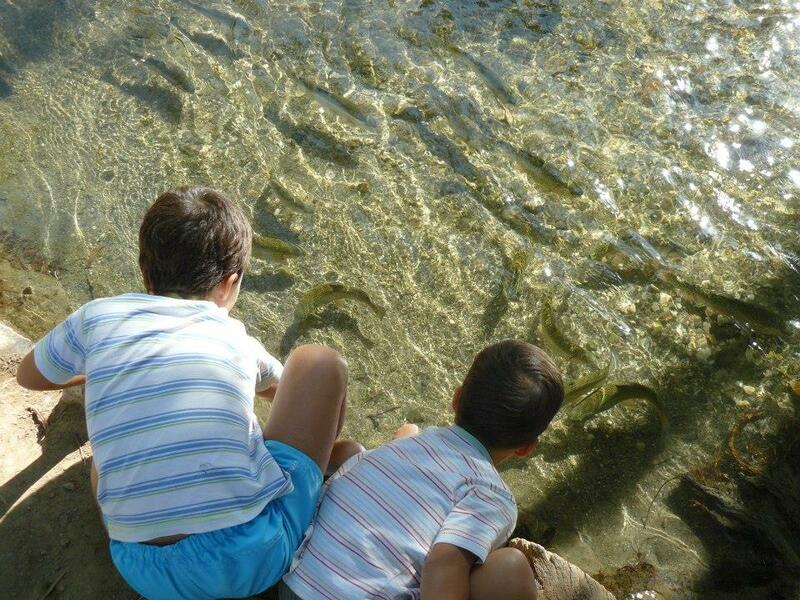 Go to the trout farm and, at certain times, join a tour of the place (tel. 958322621), only Spanish is spoken though. 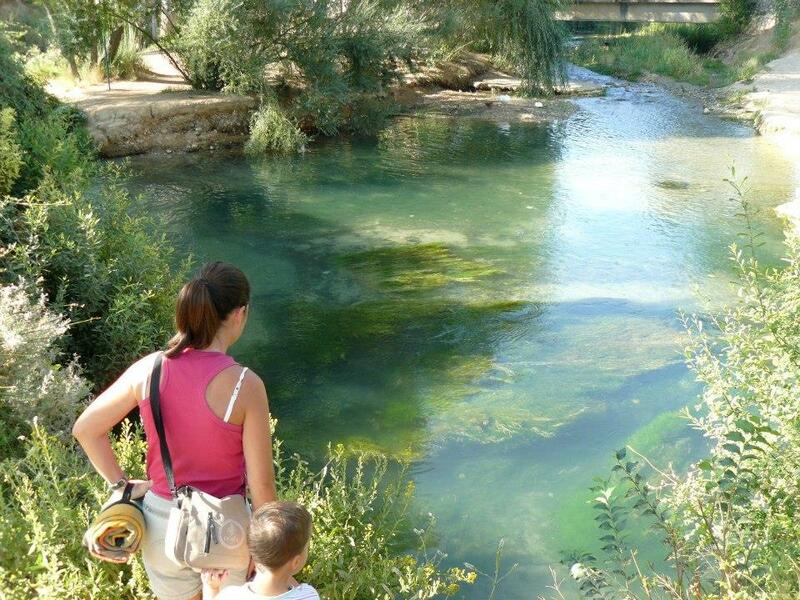 We often go for a walk along the river, crossing through the centre of the village and onto the 'Nacimiento' of the river. The river's source. There's a large flat area that is ideal for picnics, the ruins of two old flour mills to explore and the river here offers numerous pools for cooling off in. And cool off you will, the water is cold. Very cold!! Although swimming near the village isn't encouraged, you can always go further up the river and find some quieter spots to yourself. The restaurants here offer great value for money, unsurprisingly the local Trout & Sturgeon features heavily on the menus. Meson Riofrio and Restaurante Quintana are recommended, although most, if not all, the restaurants are good and reasonably priced. You can try the locally produced trout served in a variety of ways. 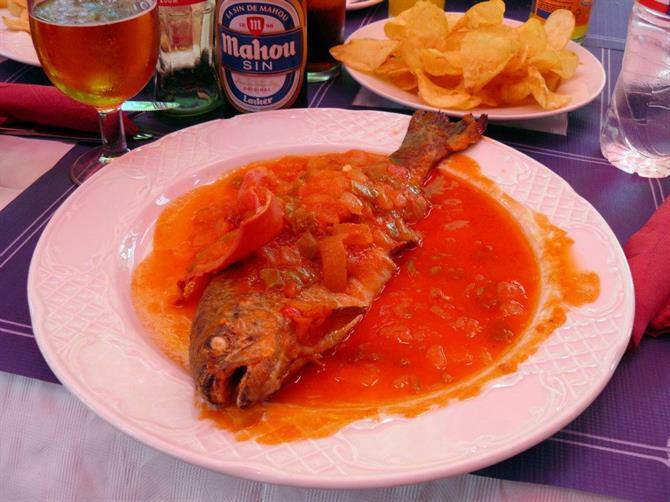 One of the best and most popular is in what is called Navarra style (trucha a la Navarra). The trout is stuffed with Serrano ham and seasoned with salt and pepper. Lovely! There are also several craft and gift shops that offer a variety of quality local items. We often buy the local pulses, chickpeas and lentils, that last for months and are exceptionally good. If you want to experience other places of interest close by, there is plenty to see on the doorstep of Riofrio. Travel to the elevated and atmospheric town of Montefrio. After all, you have seen the cold river so now you must see the cold mountain. Just a few kilometres away from Riofrio is nearest town, Loja. There are great views of the surrounding countryside from a viewing point high in the town, close to some stunning churches. Both Montefrio and Loja are often ignored by those travelling around Andalusia. Yes, there are lots of reasons to rush off to Seville. True, the museums and beaches of Malaga are an attraction worth getting to as quickly as possible. And the reasons to drive by the likes of Riofrio in order to get to Granada are endless; but you best discover Andalusia by coming off the motorway slip road and seeing the lesser known locations. You see these white washed villages and towns as you drive by and my curiosity has led to me discovering many gems. So many of them have a river running through them. The reason to visit these places in Spain is as clear as the water in those rivers. For some additional information and pictures of Riofrio, see Spain Holiday's Facebook album.